Hey guys I am new to this site, This past season in late June I had purchased a CVX-18 Glastron. After owning a 1973 CV-16 that I sold after I bought the CVX. The CV I had bought we no outboard, no interior. 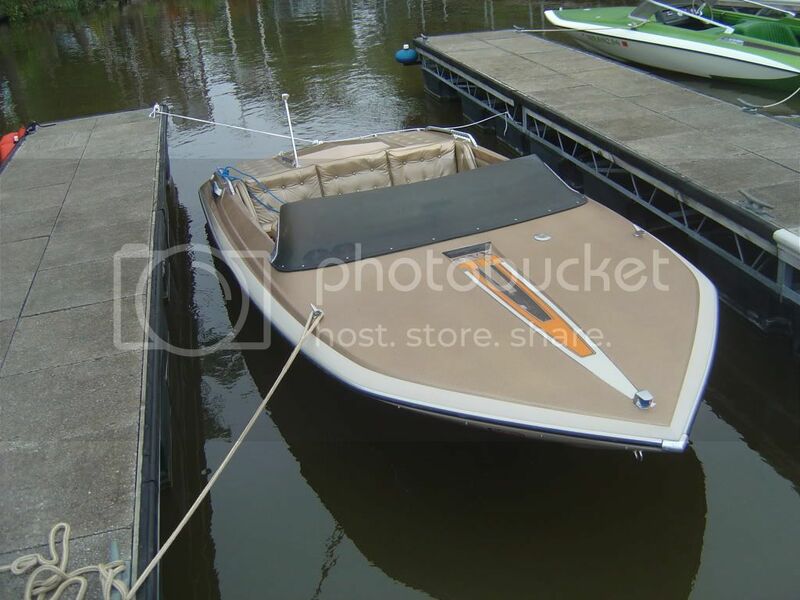 I put in new floor new interior and a Force 85hp outboard. Max it went 45mph Not going to lie I kinda miss it. A lot of tlc went into that thing. But I am happier now with my CVX witch has more power, and rides so much nicer. I have many plans for it. new carpet in the future. currently this winter working on putting through hull external exhaust in it. I put center riser manifolds on it a few weeks ago. So that being said I have the old Log style manifolds forsale with risers if anyone is interested. Welcome, nice boat, I have the exact same one. Does yours have the 198HP (2BBL) or the 228HP (4BBL)? You will have to post pics of the thru hull, I was think of doing that but it looks pretty tight. I have the 898, but someone put a 4BBL on it. The best I have gotten with it was 57.7 GPS. Is that 56 on GPS? No thats just what my speedo says. I havent had a chance to borrow my buddies gps. I kinda surprized your not getting any faster with the 4bbl what prop you running? I have a 19p stainless. Anything higher then that for me I lose my rpms.. I am running a 21p Laser II @about 4700 RPM's. I would guess your at about 52MPH GPS. OK, Maybe in the future i'll switch to a 4bbl. but right now i'm focusing on the exhaust. and doing some little TLC to it while i have the engine out doing the exhaust. I want to cleanup the engine compartment. Your paint seems to be in better shape then mine. I have a buddy that does paint work. I might have him do some custom touches to mine, but I don't want to change the over all original style too much. while i have the engine out doing the exhaust. Shrom - Welcome! I've chatted with you over at the national site. Definitely post pictures of your thru-hull install when done. Everyone I know with a CVX18 wants to put thru-hull in it eventually. Can't let the guys with the Intimidators have all the fun! Once spring comes and you get it back in the water it would also be interesting to hear if you got any performance gains out of it. I've got the 305/4BBL in mine and the best I've gotten out of it is 57.0 GPS spinning a 22P Enertia. Really too much prop for it. 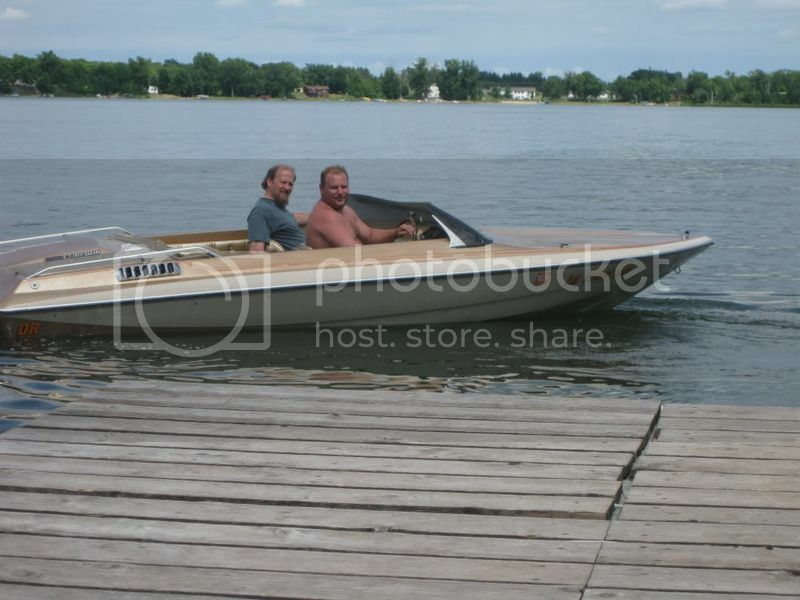 A 21P Laser II like Shaun has on his is about the best prop for these 305 powered boats. They don't have the torque to spin anything taller. Your paint seems to be in better shape then mine. 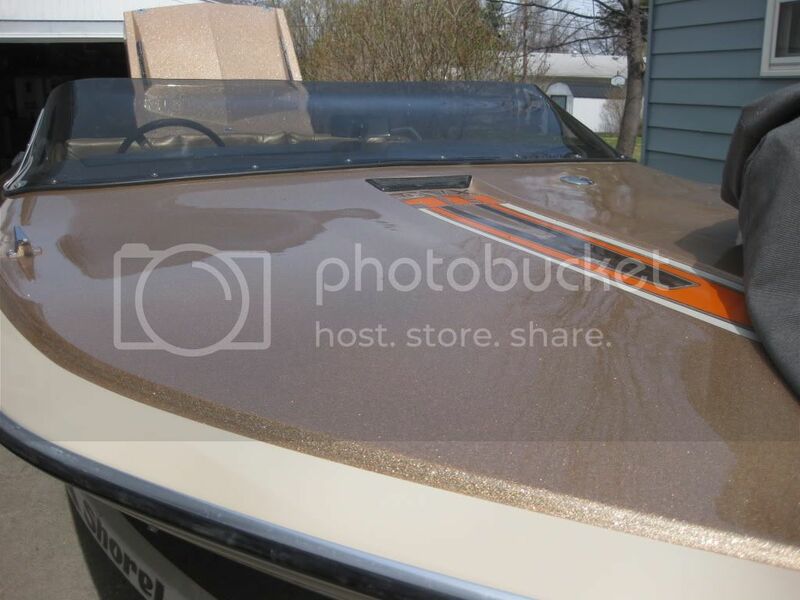 How bad is the gelcoat on your boat. They can be brought back to almost new! A 21P Laser II like Shaun has on his is about the best prop for these 305 powered boats. They don't have the torque to spin anything taller. I'm assuming that's the prop I'll want for the CVZ-18 then as well. Good to know! Yeah I have had a few ppl tell me to just drop in a 350 haha, believe me I would If I had one. I'll use what I have right now lol. And my gelcoat seems to be in good shape it just the clear that is cracking and peeling off. Did you wet send off the clear? I think at one point in its life someone may have re-cleared mine. 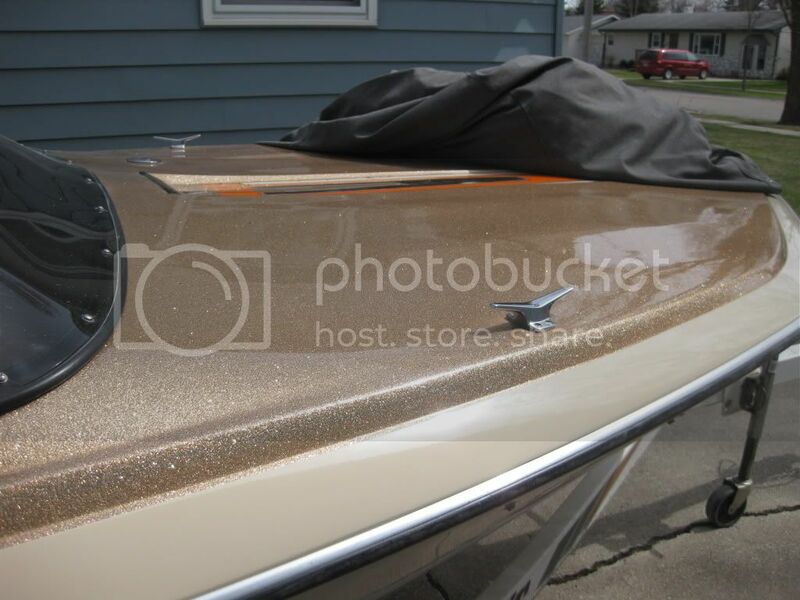 thought Id post a few more pictures of my boat..
No I didn't do any wet sanding, just buff, polish, and wax. There are some very helpful people on this forum that should be able to give you some good advise. I had never even used a buffer before and they pretty much told me step by step, what products to use, ect. 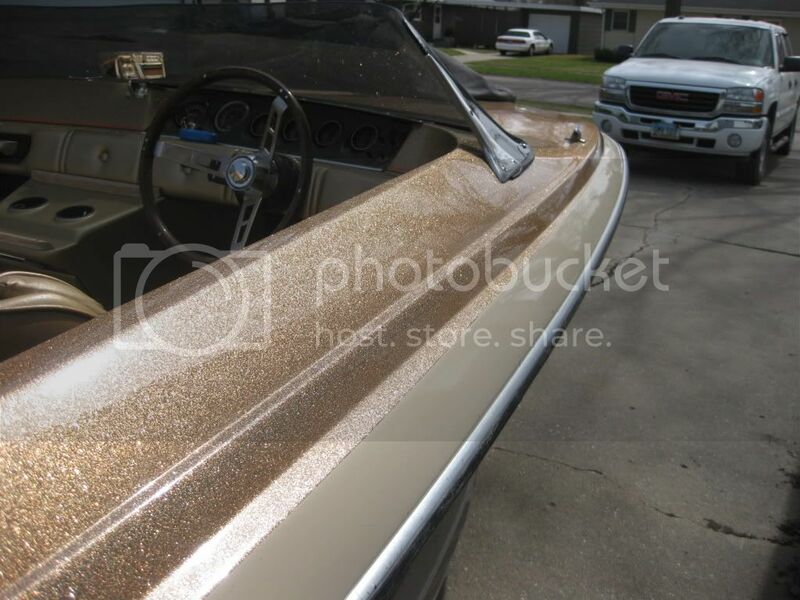 Somebody must have clear coated your boat at one time, cause as far as I know gelcoat, if it's done right, won't peel. Nice! That's the same style I want to put on mine eventually. 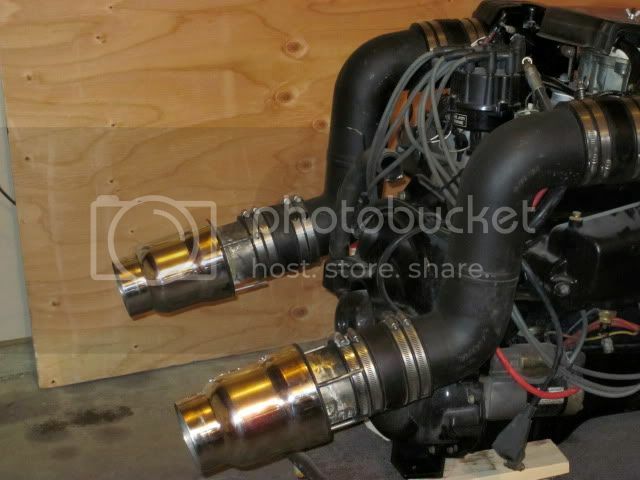 Shrom here is a pic of my engine before Drilled the holes in the transum and installed the engine. Sweet looking setup Jeff, can't wait to hear how it sounds.